A cultural tradition, classically prepared espresso carries with it a certain refinement and sophistication. Part of this is because of the unique complexity of espresso: its thick flavorful crema; the aromatic bouquet swirling out with the steam…the way a twist and biscotti seem to top it off perfectly at the end of a delicious dinner. Another part of it, however, does lie in the expensive equipment required to make good espresso. The fact of the matter is that enjoying quality espresso is a luxury. To serve it is not always an affordable investment—especially in this economy. 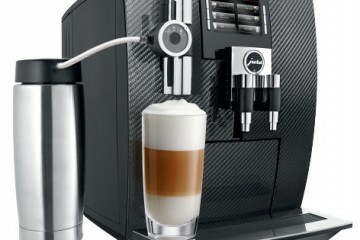 At 1stincoffee.com, however, you can stay within budget and still purchase one of the best espresso machines on the market. Refurbished machines are being sold for 30-60% off of the original price and, as an added bonus, come with free shipping. By purchasing a refurbished espresso machine at 1stincoffee.com, you’re not only saving money, but saving the environment as well by recycling. This way, parts and materials used to make the initial machine won’t go to waste prematurely. Each refurbished espresso machine carries a full-year warranty on parts and labor and is shipped out of the Jura Capresso factory service and repair facility within a few days of your order. Refurbished items show only the slightest signs of use and are factory serviced, cleaned and tested to ensure that the product you purchase is in perfect working order. Contact us toll free at 800.709.8210, if you need more information on any espresso machines, coffee grinders, coffee makers or coffee supplies or on refurbished espresso machines, used coffee makers, refurbished jura automatic espresso coffee centers, reconditioned espresso machines, Jura Factory Service. 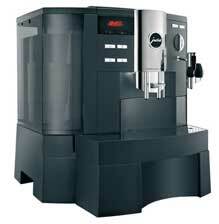 For a complete list of 1stincoffee.com’s exclusive refurbished lineup of Jura Capresso machines, please visit:http://www.1stincoffee.com/refurbished.asp.